Twelve days of walking—and cycling—is all it takes to make your way from Migennes to Saint-Jean-de-Losne following the length of the Burgundy Canal. 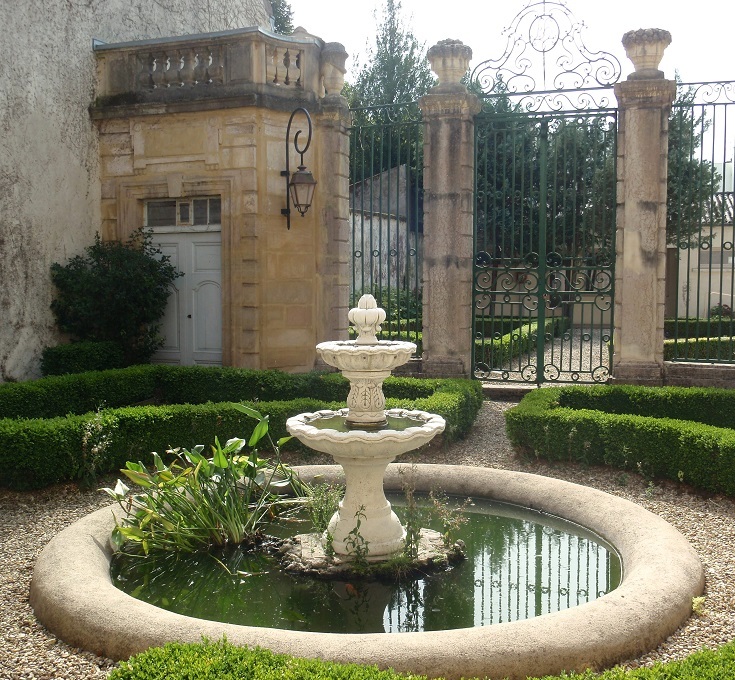 Along the way, you’ll have the opportunity to visit seven châteaux, eleven churches, an abbey and three of France’s most beautiful villages—all within easy walking distance or a shuttle bus ride from the canal. 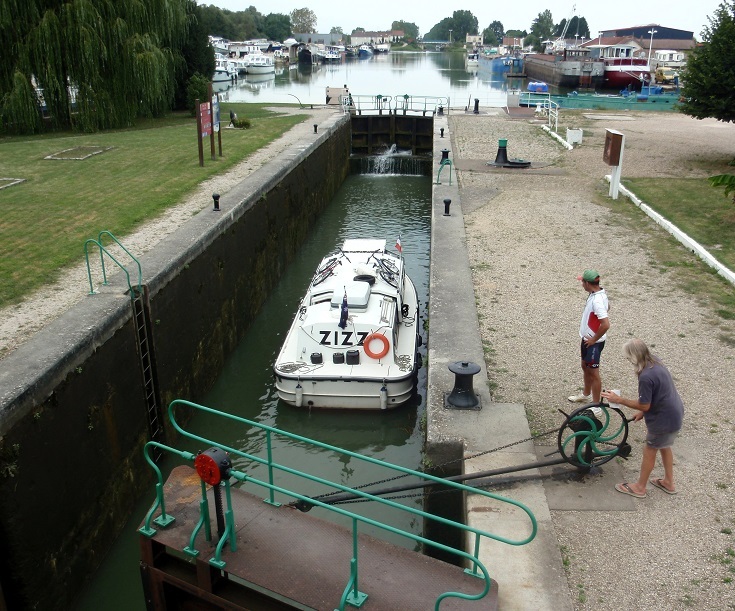 For the last twenty-seven kilometres (seventeen miles) from Dijon, the canal follows a straight line and offers little protection from the summer sun. If you are pressed for time, it can be tempting to skip this last day of walking and spend some extra time exploring Dijon. If you choose to continue on to the end of the canal, I recommend renting a bike and enjoying a leisurely cycle from Dijon to Saint-Jean-de-Losne. When you are ready to return the bike to Dijon, trains run daily between the two towns. 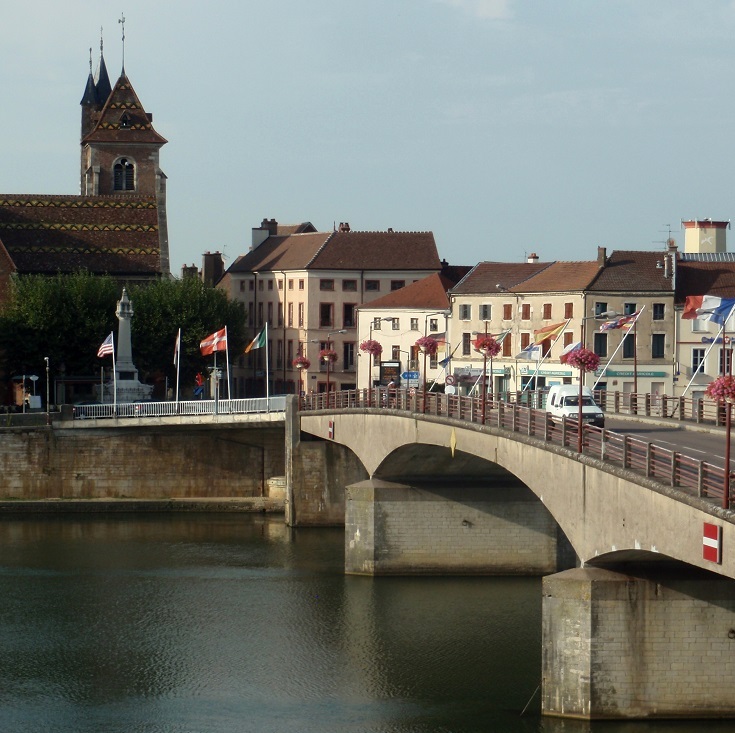 Saint-Jean-de-Losne holds the interesting distinction (according to the Tourist Office magazine) of being both the smallest town (thirty-six hectares) and also having the largest inland port (twenty hectares) in France. Hundreds of boats moor here before heading west along the canal or along the Saône River towards the south of France. On the third weekend in June, the boats are brightly decorated and a ceremony is held to bless the fleet during la Fête de la Batellerie. If you have not yet experienced travelling through a canal lock by boat, Vagabondo has a variety of cruises throughout the day—some serving breakfast, lunch or dinner—that will give you a taste of life on the canal (without the hard work). 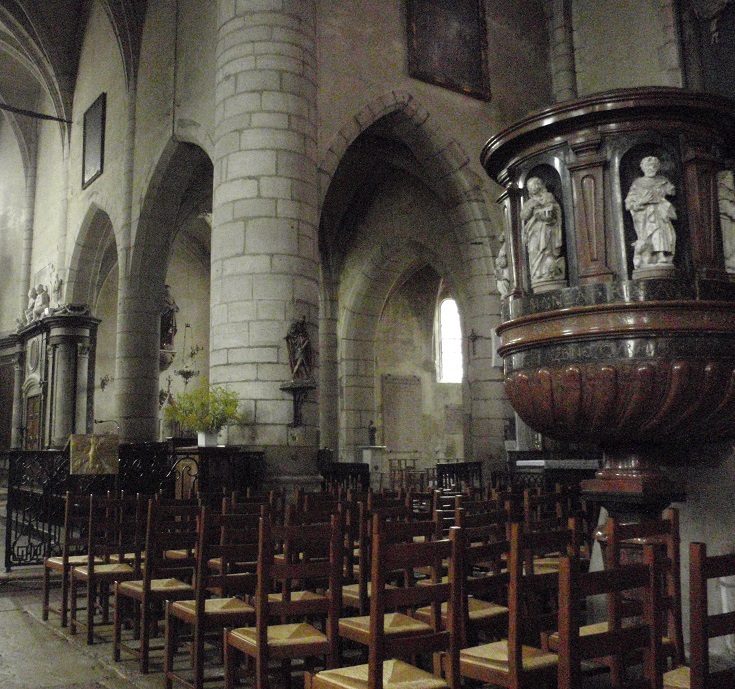 Not sure whether to visit Saint-Jean-de-Losne or stay in Dijon? Let’s take a look around. Saint-Jean-de-Losne is 29.2 kilometres (18.2 miles) from Dijon. This is the last, and the longest, day of the walk along the Burgundy Canal. It’s a flat, easy walk but there is little shelter from the sun and I recommend renting a bike in Dijon and cycling this section. If, like me, you can’t ride a bike and thirty kilometres is a little too far to walk, it’s possible to break this section into two days with accommodation available at Longecourt-en-Plaine and Brazey-en-Plaine. You’ll find the Tourist Office at 2 Rue de la Liberté. Opening hours are listed here. There are several cafés, bakeries and supermarkets in Saint-Jean-de-Losne. 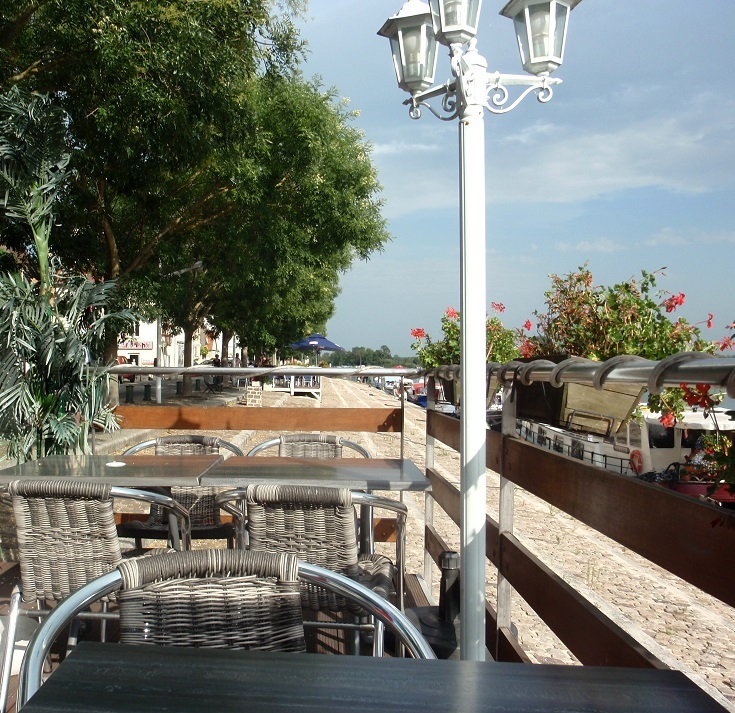 For views over the water, settle in to one of the cafés lining Quai Nationale. Personally recommended: Auberge de la Marine — for the clean, comfortable rooms and for the delicious dinner!